Mark and I kind of have a thing for granola bars, breakfast bars, dessert bars—basically all the bars. We love hiking and having a pack of bars to munch on during our adventures has become a necessity. Often, I will make a big batch of nut-butter loaded bars and freeze them until they’re ready to accompany us on our travels. 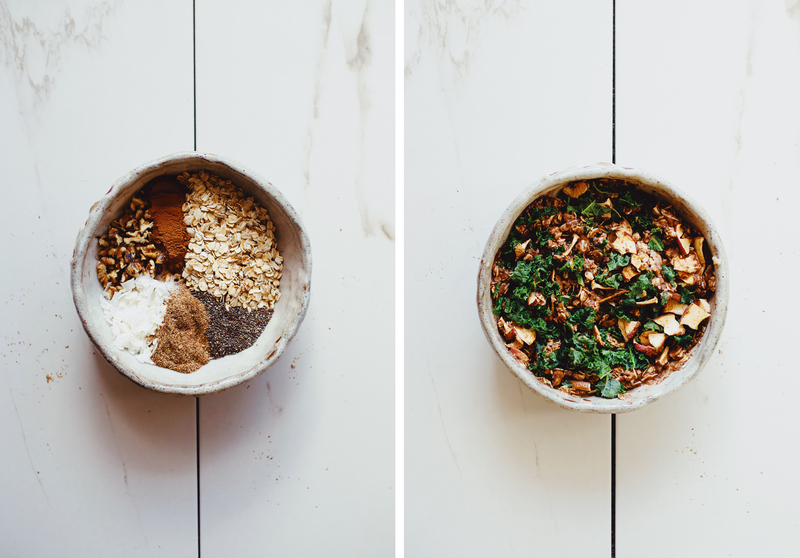 The other day I decided to add a little something extra to one of our go-to recipes & discovered the wonder of kale, oats, nuts, and banana—all mixed together. The results—a superfood loaded, protein packed bar, ready for any adventure! Kale in granola bars. Yes, this is for real. Often, when I am traveling, I find myself snacking on item like trail mix, peanut butter bars, and crackers dipped in nut butter—basically a lot of the same stuff. 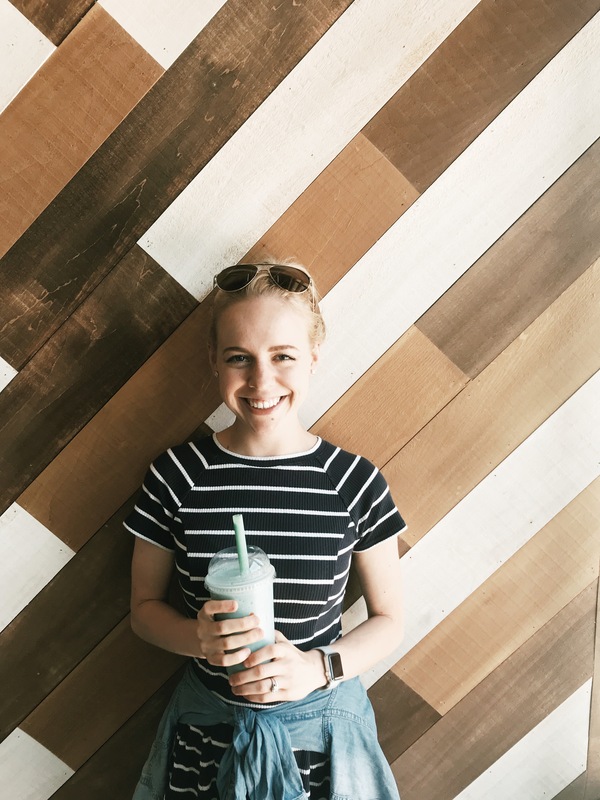 I crave salads, green smoothies, and all things green—probably because my body is missing the nutrients that these items offer. The inspiration to add kale to my bars started on our last big adventure when I found myself in this situation. Kale is loaded with healthy nutrients that your average granola bar probably doesn’t have. 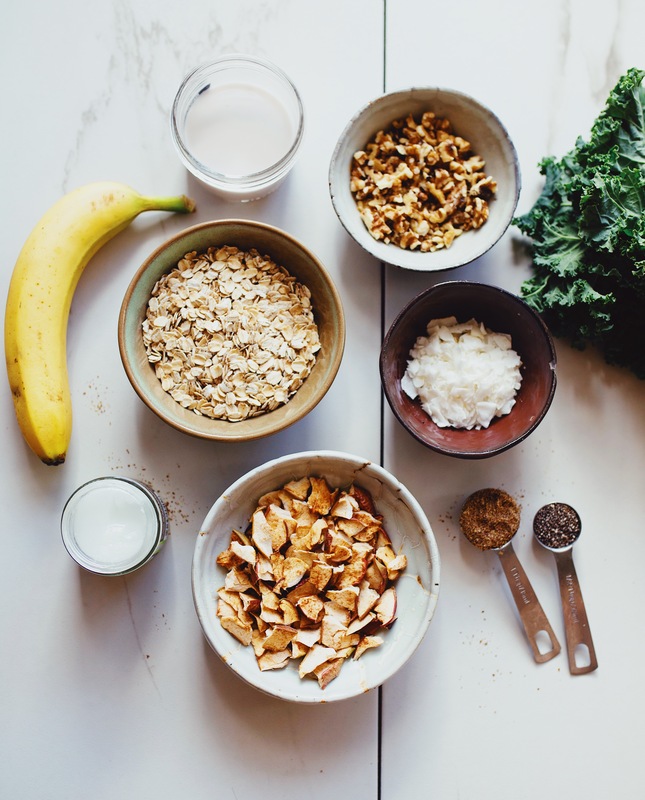 Mixed with earthy oats, hearty chia seeds, crunchy nuts, creamy banana, fruity dried apples, and sweet maple syrup, nutrient-dense kale is the perfect addition. 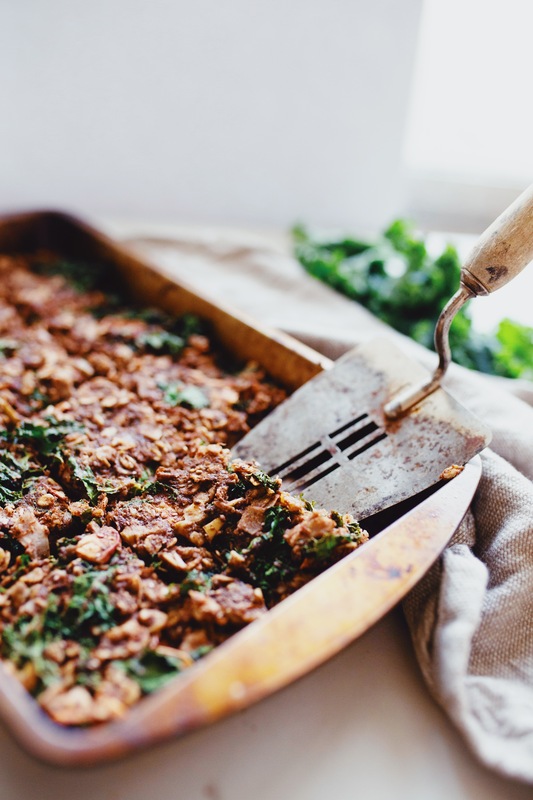 “Superfood bars” might sound a bit over the top, but this recipe is truly the real—super—deal. & loaded with nutrients to keep you going! 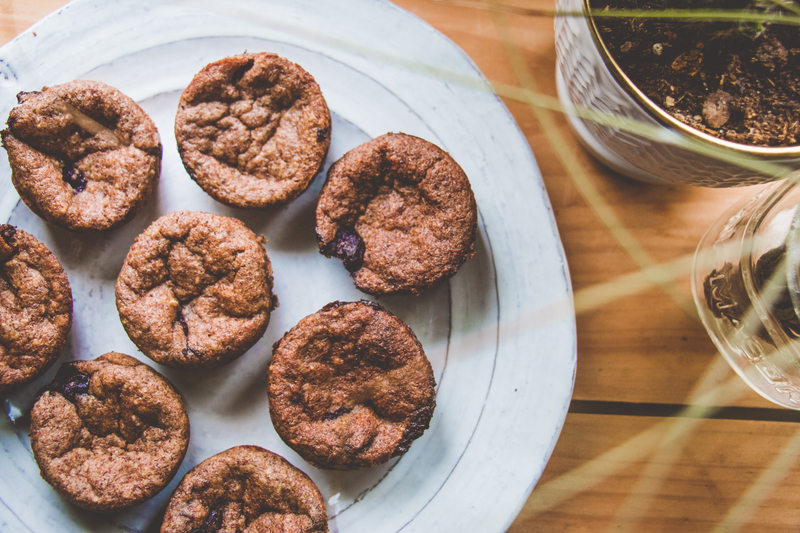 For more recipes like this, check out my easy breakfast bars, mountain granola bars, pb&j energy bites, or blackberry breakfast cookies. Kale in granola bars? Yes, this is for real. 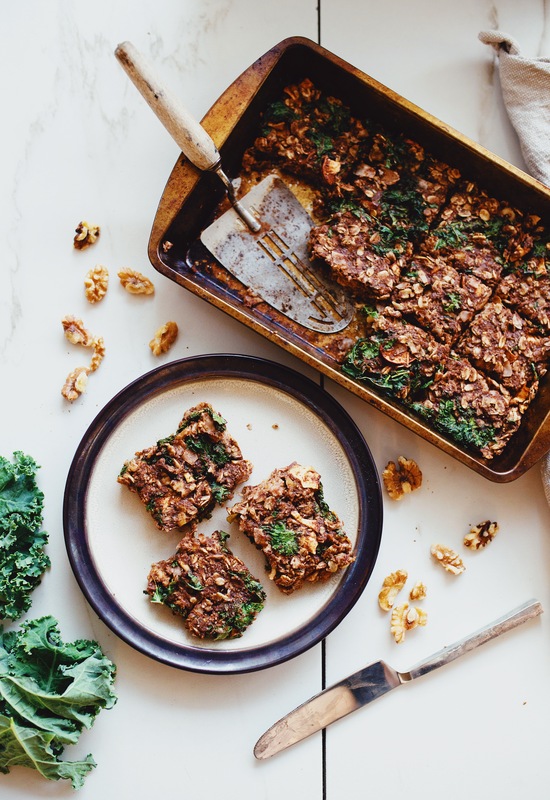 My kale + oat superfood bars are hearty, protein packed, ready for any adventure! Preheat oven to 325 degrees F. Grease small baking sheet and set aside. In a large bowl whisk oats, coconut, walnuts, flaxseeds, chia seeds, cinnamon, and salt. Stir in banana, milk, coconut oil, maple syrup and vanilla until well combined. Gently stir in kale and dried apples. Mixture should be thick. Transfer batter to baking sheet and smooth top with rubber spatula. Bake bars for 25 mins—or until bars are firm. Let rest until cool and slice into bars. Serve immediately. Store leftovers in airtight container on counter for up to 2 days, refrigerated for up to a week, or frozen for up to a month. 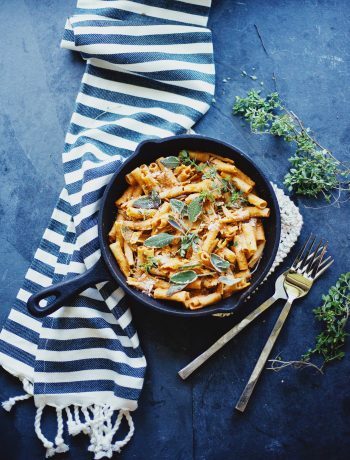 *I used Malk Organics vanilla almond milk in this recipe. Malk makes incredible nut milks with minimal ingredients—aka no gums, fillers, or artificial sweeteners like many conventional nut milks. 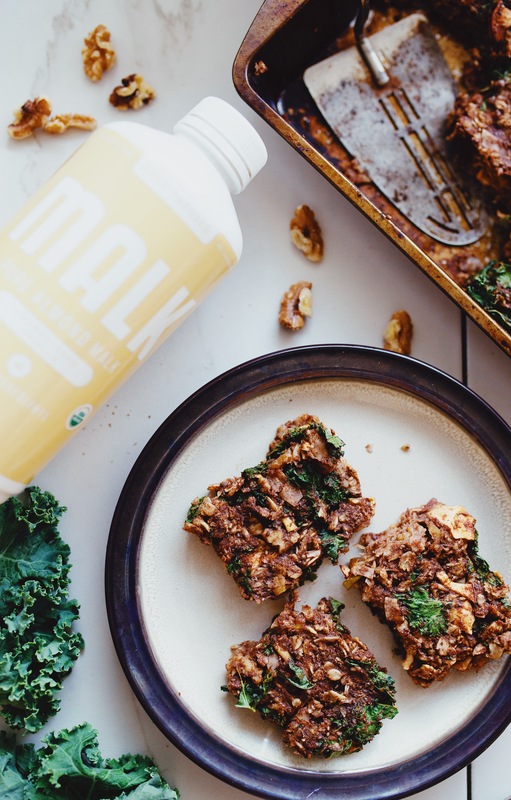 It is important to me to be aware of the ingredients in my food and Malk has become a go-to brand for my milks because of their commitment to real ingredients and transparency in their products—plus their nut milk is delicious! 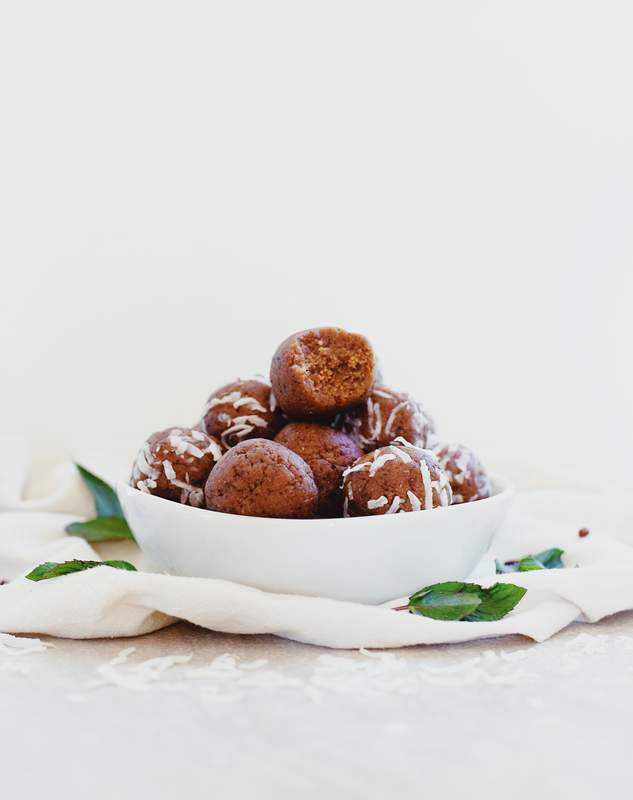 The vanilla almond milk that I used in this recipe is unsweetened and adds just a touch of extra vanilla flavor—and who doesn’t love that?